Halloween decor is not only for the front yard. 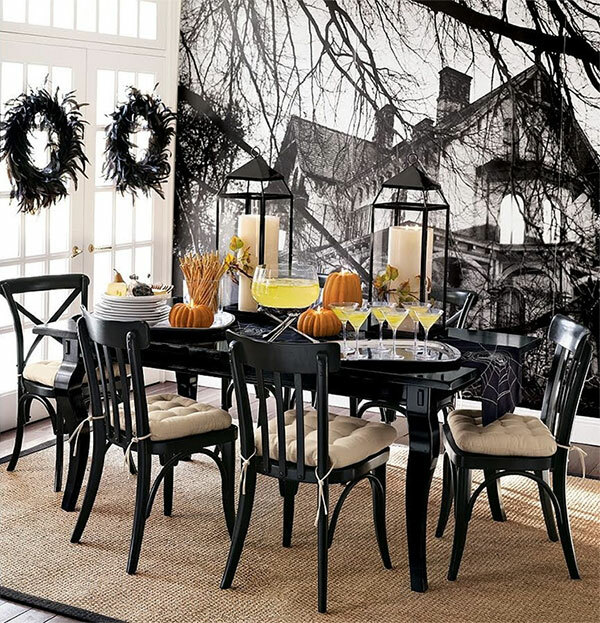 If you want to truly get into the spirit this year, how about adopting a more comprehensive approach to creepy decor? From the front door to the dining room, you can turn your house into a temple of mysteries and fear, with a few simple details. 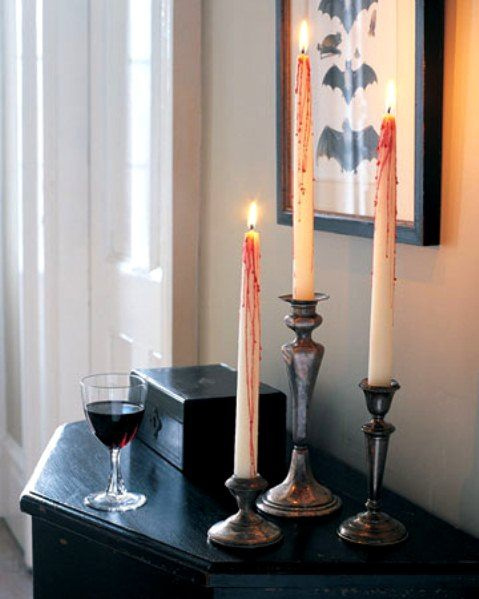 This is even a better idea if you have guests and want to appropriately spook or entertain them. 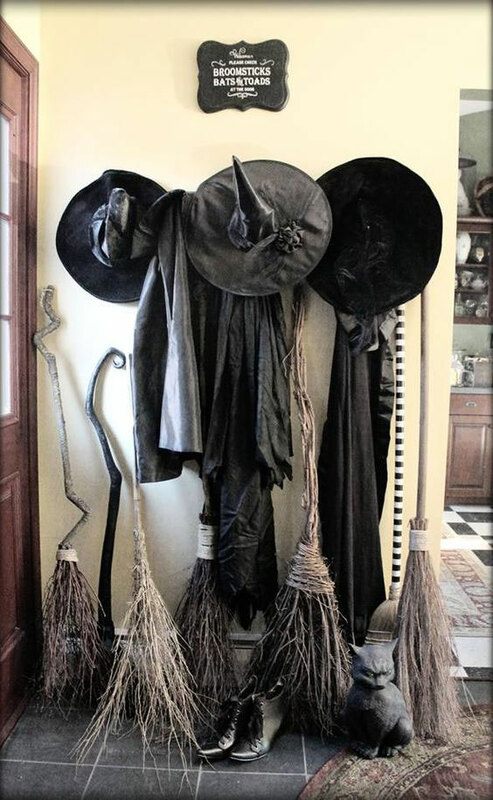 First, get your entrance ready and hang a few witch hats on a hat rack. Add some brooms you can make out of a handful of branches in the backyard, then a piece or two of black cloth (if a witch dress is not part of your earthy possessions), and a pair of black shoes – the older and creepier, the better. You have created a decorative ensemble that would make your visitors wonder who else is visiting. Angry cat is a bonus – if you have a grumpy one, no additional purchase is necessary. In case your visitors have to go through a long empty hallway, make them fight some creepy obstacles. 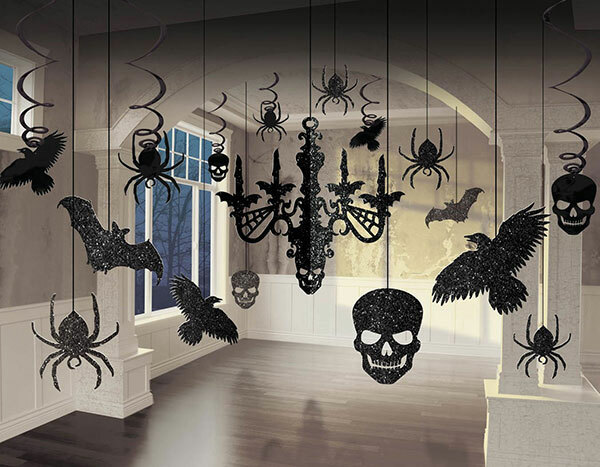 Use a collection of hanging skulls, raven, bats and spiders to fill the space. If your guests are the fashionable kind, no worry. Glitter is included. No Halloween decor would be complete without proper lighting. And nothing is more proper on this night that these creepy candles. While it is easy to make them by dripping wax from a red candle over some white ones, no one has to know the truth. Do not forget the details. 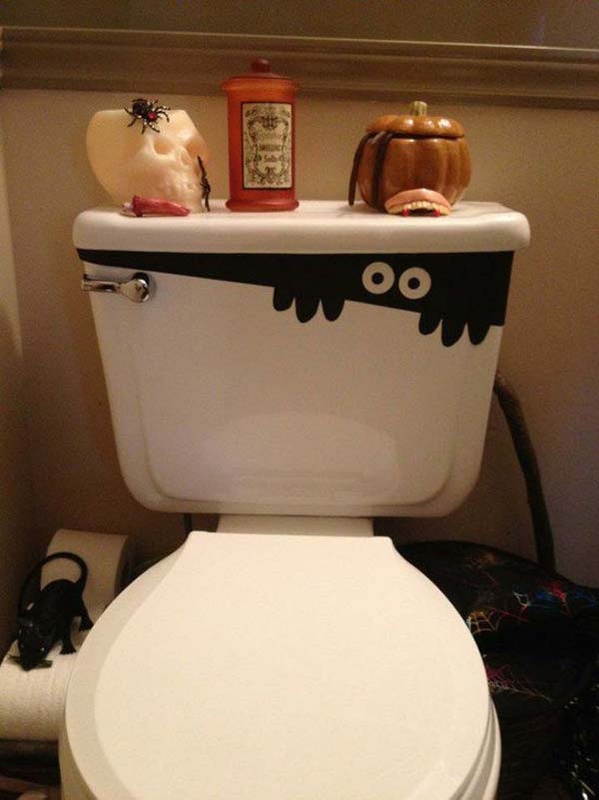 In the bathroom, a decal sticker will keep your guests properly amused, while a little plastic rat in a corner will ensure that they will spend more time at the table and less in the bathroom. 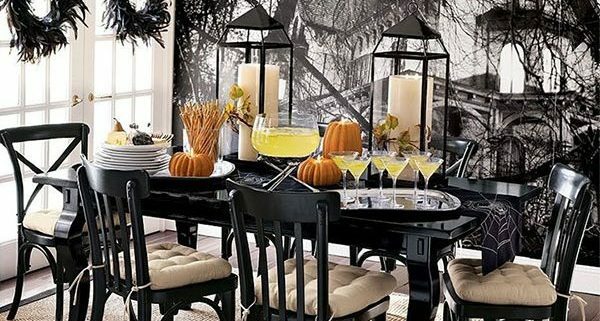 Finally, if your dining table is black, coming up with a Halloween-worthy table setting is half done. If not, a black table cloth will do. If you prefer to make the dinner napkins yourself, white lines painted on a few pieces of black cloth are enough to suggest the presence of some creepy critters. Gather black pieces of decor from around the house – black lanterns are an excellent idea. Don’t forget to be fab – black feather wreaths are easy to buy and equally easy to make. Above all, have fun and stay scared! Happy Halloween!